Birthstone Bracelet on Choice of Card Mounts for Flower Girl or Bridesmaid. A lovely bracelet made with high quality 3mm silver plated beads and a Swarovski Elements crystal birthstone. 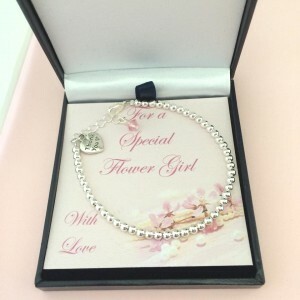 Featuring a lovely Tibetan silver ‘Thank you’ heart charm. 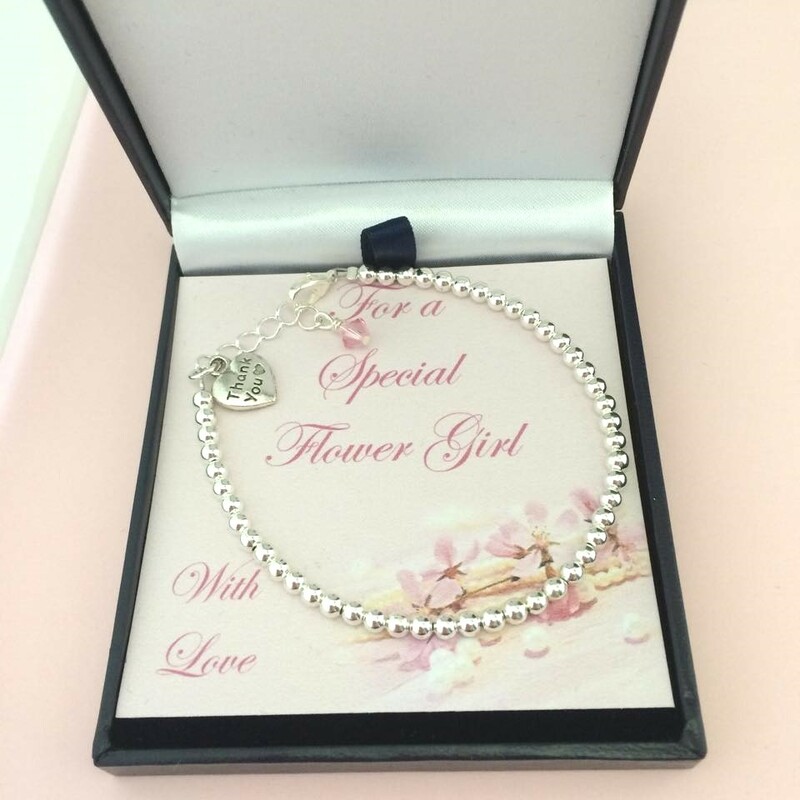 Presented in the gift box shown mounted on one of the following cards: Someone Special, Special Flower Girl or Special Bridesmaid.